Belsize ward makes up the southern half of Belsize Park: sitting between Haverstock Hill and Primrose Hill and encompassing most of Belsize Village and the Chalcots estate. The ward is mostly residential, although it has a number of village high streets, on Belsize Lane, Englands Lane, and Haverstock Hill. The Belsize Residents' Association is the main community group, while the Tenants & Residents Associations play an important role in the Chalcots. 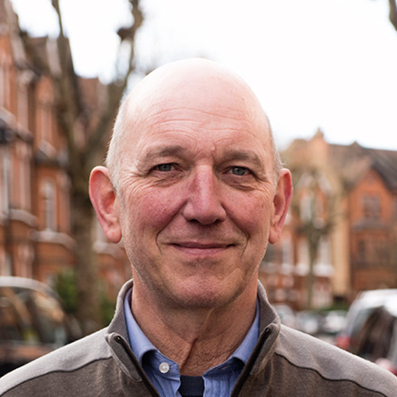 I’ve been embedded in Belsize Park’s community for decades, working from my office on England’s Lane for 30 years. I’m married with three children who have grown up locally, and my whole family loves our neighbourhood. I want to use my architectural skills to protect Belsize from inappropriate development and encourage investment. I work with local residents through a local Conservation Area Advisory Committee to preserve the local area. I’m self-employed and becoming a Camden councillor will allow me to put back even more into our community. My professional work relies on communication and mediation, as well as competent management and leadership: all skills that I will bring to the role of councillor to help serve our community.